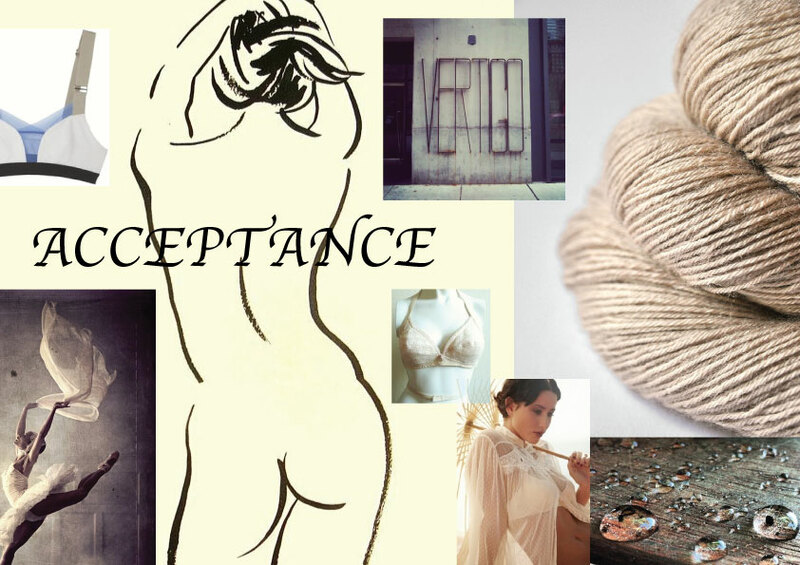 The 'Acceptance' Trend differs from the 'Influence' trend in that it's much simpler. The mood boards have been styled that way also. Again three mood boards, representing colour and feeling, type of fabrics I may use and a board on shapes and detailing. The next stage from this would be sourcing fabrics and designing from a starting point.